This product is suitable for high amounts of electricity and makes it very easy to install a heated printbed in your 3D printer. 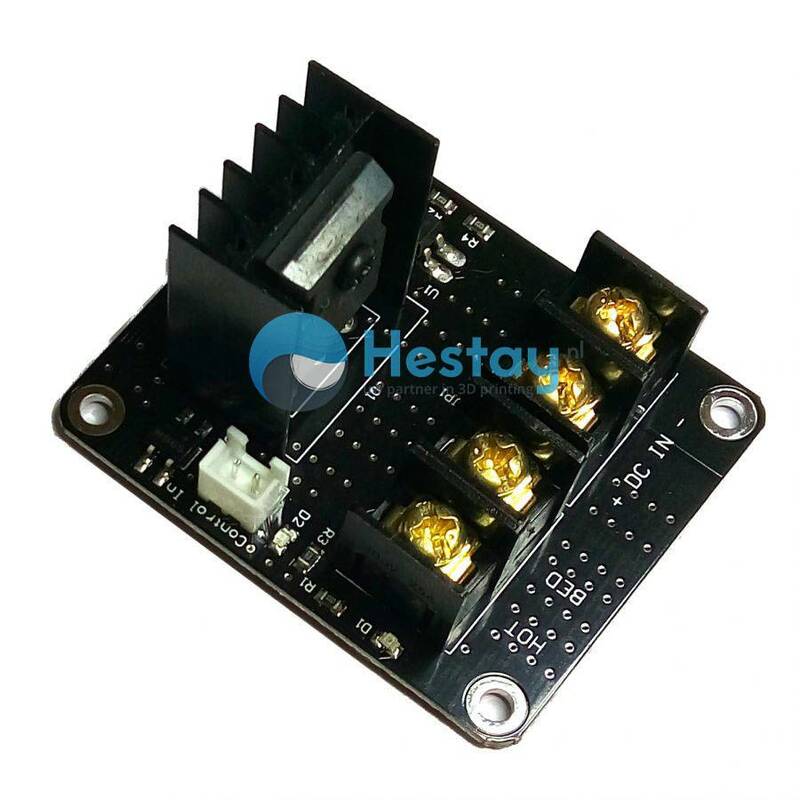 the module is suitable for 12 volt and 24 volt heatedbed. The board can power the print bed with 25A and also works PWM. You get a 15cm cable with insulated end, including included.